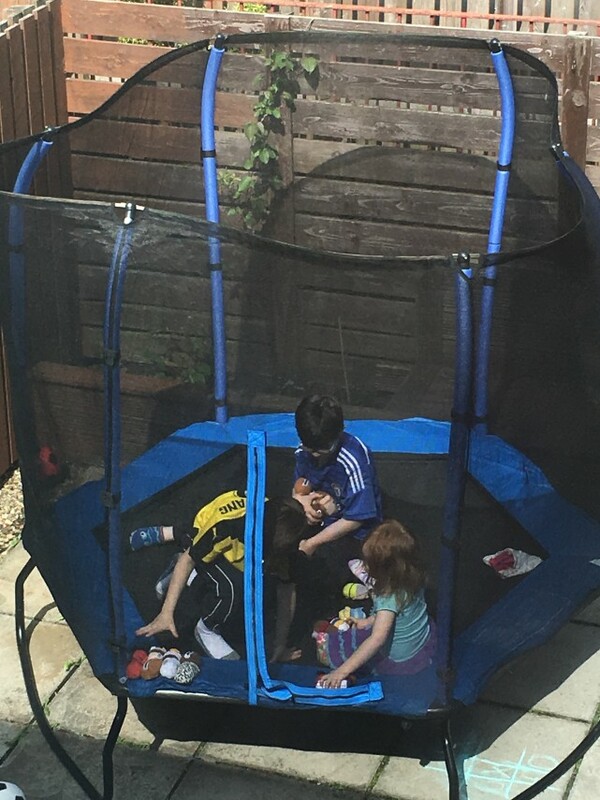 We used to have a largish trampoline in the garden when the boys were younger. It took up a lot of space in our small garden. Then after it got battered about in several Scottish storms we got rid of it. 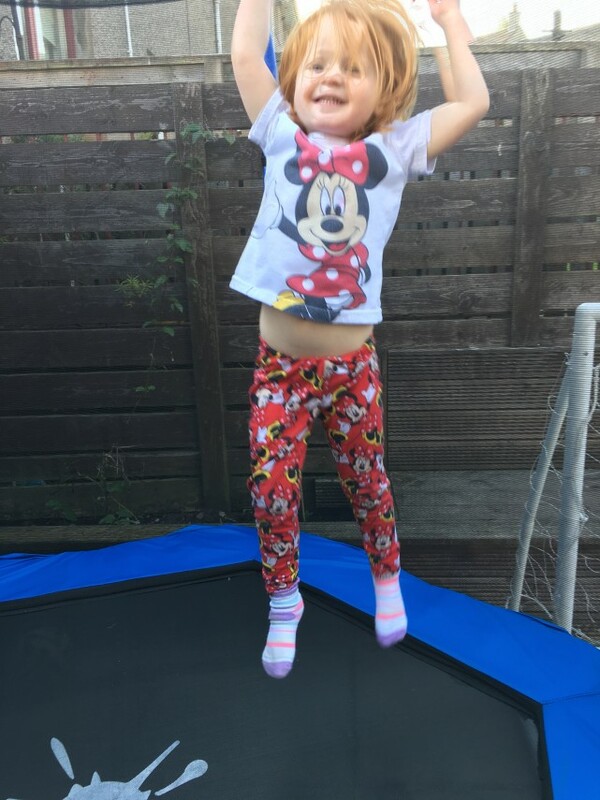 Aria was desperate for a trampoline, but with the hassle we had previously putting it up and taking it down, the space and it sat unused I was reluctant. I wish I hadn’t been so dismissive of the idea now. 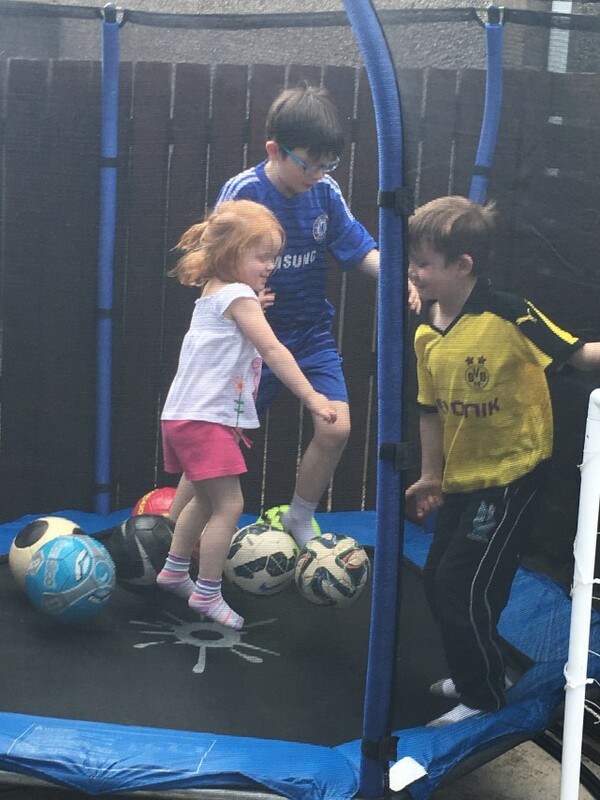 When Outdoor Toys got in touch to ask if we would like to try out a Rebo kids trampoline I knew it was the right thing to do and have never looked back. It was simple and easy to put up. Hubby had it built in less than an hour, frame, protective net and all. Attaching the springs were a bit tricky, but didn’t take long. It is well made and secure. The trampoline is an octagon shape, which means it fits better into corners and is sturdy on it’s frame legs. We moved it around the garden and decided were best to put it. It’s 7ft it doesn’t take up much room and the boys still have plenty of space to play football with their two sets of goals. Trampolines these days are much better than the ones of the 80s when I was a child. We never had protective surrounds and the springs were visible not covered and protected. Thank goodness for health and safety these days. No more concrete under swings and slides in playgrounds and no more getting tangled in springs of trampolines. 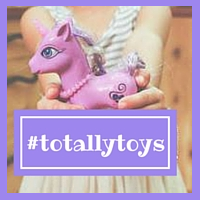 Outdoor Toys Rebo meets the new EU safety standards that are in place. The mesh safety net is secure and sturdy. The protruding poles are covered in foam. The entrance has a double zip, one down and one across, accessable from both the inside and out. The springs are covered with a UV-resistant padding. We have a set of rules when using the trampoline, if they don’t adhere they don’t get to use it for 24 hours. No matter how safe an item is, accidents can still happen. No shoes are allowed inside the trampoline, no eating or drinking when jumping, the zip to the entrance must be closed an no tricks if someone else is on bouncing with you. No jumping when it’s still soaking wet or recently covered in hail. Be careful and be aware of your surroundings. Aria and both the boys loved it. We’ve had a rubbish summer weather these holidays, I can count 4 days in the last 7 weeks it’s been dry all day. But when they have been out they’ve had a ball. 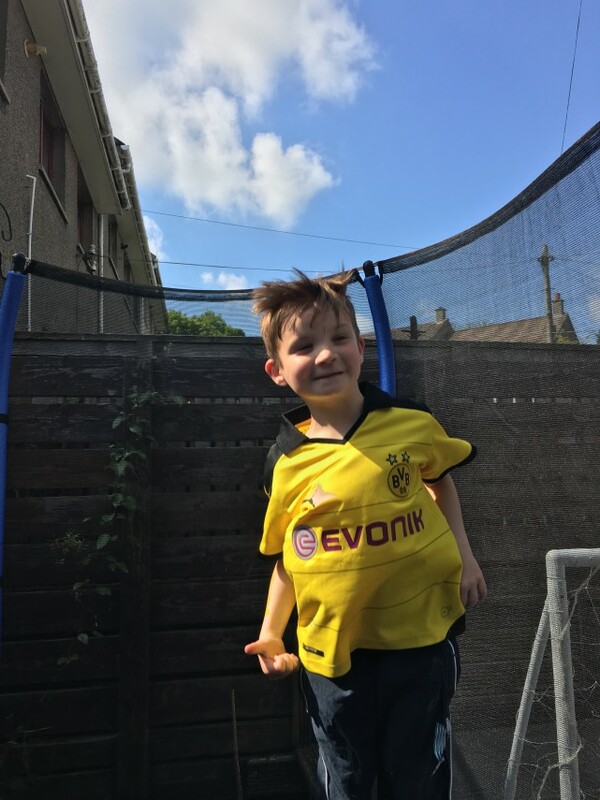 They’ve bounced on their own, with each other, invented and tried out some new tricks, well the boys have, bounced with footballs and even made it into a den to have a picnic. Trampolines are not just for jumping, imagination and they are so much more. A rocket ship even to blast you off into outer space. Trying to get a picture is the hardest part. 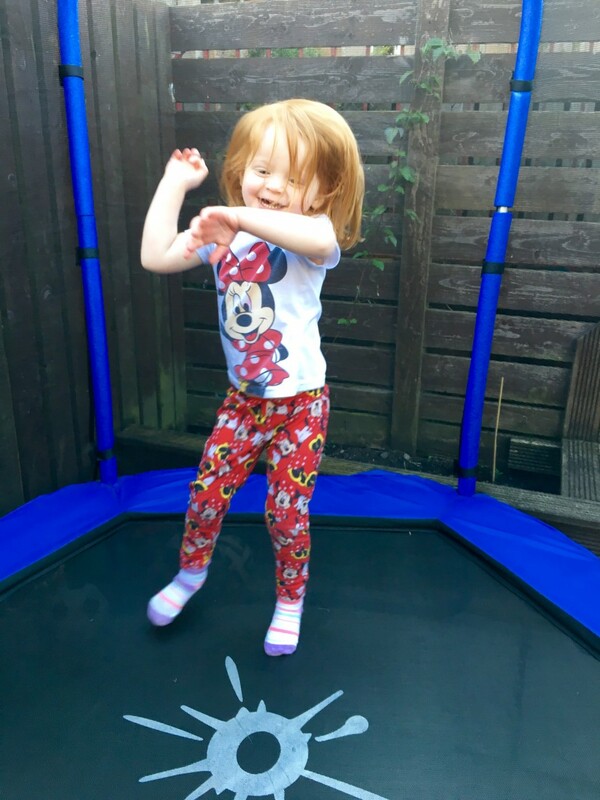 We are huge fans of the Outdoor Toys Rebo trampoline, I wish I’d gotten one sooner. All the kids love it, it’s safe, fun and hasn’t even moved in the wind. It looks as good as when we first put it up and most importantly it’s exciting and fun. I have the peace of mind the children are safe. Just sit back and enjoy listening to the sounds of laughter and joy. Disclaimer:- I was sent a trampoline for the purpose of this review, but all thoughts and opinions are my own. I just wish I’d gotten one sooner. I think trampoline is a must for every household! Kids just love them! They are ace!